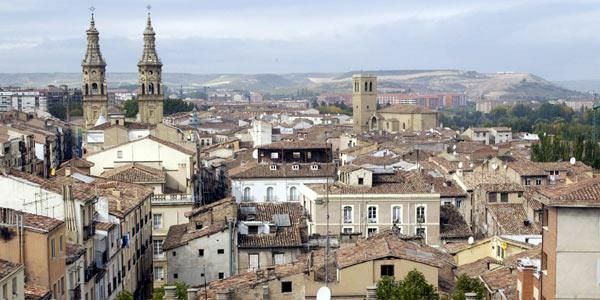 After nearly three weeks of incessantly checking my email for my city and school placement, it came through this morning, and I’ll be teaching and living in Logroño – the capital of La Rioja. Being considered a first year applicant (because I declined my position last year), I was certain I would be placed in a remote village of La Rioja. 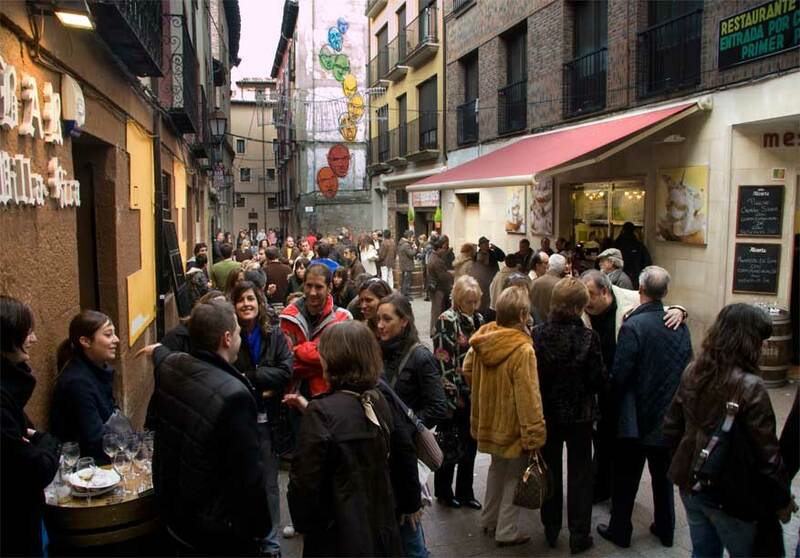 This would have been perfectly fine with me, although I would have preferred a big city, like Logroño. Well, big for La Rioja standards at least. I believe that my low inscrita number and selection of not teaching a certain age preference on the profex application helped secure me a city center teaching position. My school is an Escuela oficial de idiomas, which from what I understand means that my students will be ages 16 and older and consist of people who are trying to learn English. This was a shocker to me, in all honesty. I guess I thought all placements were at primary (CEIP) and secondary (IES) schools. However, I am completely happy to be here. In fact, I have quite a bit of experience teaching an older crowd. I’ve taught tennis and pottery lessons to adults for years. On an unrelated note, the only group I don’t have a large amount of experience with is the high school age group. Since the school is located right in Logroño, it means that I will be living in Logroño and shouldn’t have to worry about transportation to and from work. I couldn’t be happier about being able to walk to work either! Although my drive in the U.S. is only 15 minutes, I still despise it. I wish I could just walk. Now, I’ll be able to! I’m ecstatic, to say the least, that I will be living in Logroño too. This truly is the position that I had been hoping for. 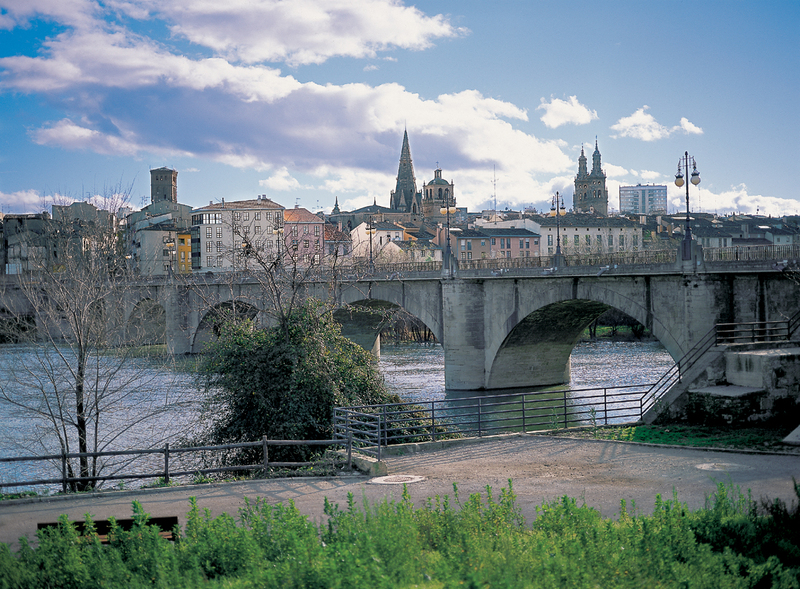 I wanted to live in the city and be part of all Logroño and La Rioja has to offer. The placement came at the right time too, as you may have read the other week about me having second thoughts about the whole teaching in Spain thing, but no longer! I will be going in September! Stay tuned as I prepare to leave for Spain, learn more about Logroño, improve my Spanish, and, of course, write about it all. Congratulations!! I’m eagerly waiting for my carta hoping for Logrono as well! Thank you! My finger are crossed for you! Let me know where your placement is!!! Hey Mike, I received my placement and I have been assigned to 2 school in Arnedo. Do you know what we need to do next? Do we need to send something? I believe we just email them back and accept or position. I don’t think the email and/or letter said that we needed to send them anything. If you find out we do, let me know! Very nice. I hope you have the best time ever! Sounds like a great place to be based – look forward to reading about it! Thanks, Lucy! I’m hoping it’s as great of a place as it seems! Not at all! These next 4 months will fly by. Excite for you, my friend, I’ve wanted to visit La Rioja ever since I first started reading Liz’s blog. I’m definitely going to plan a trip, given that I will be much closer in Madrid than I was in Granada. Maybe you can show me around! That sounds like a plan to me! You’re more then welcome to visit. I’ll be making a trip to Madrid too, so I may need a guide. Congrats! Logroño looks amazing! That’s pretty sweet that your commute will be super short! Hopefully see you soon in NYC! Thanks, Danielle! I’ll have to make a trip down to Málaga to visit sometime. I was just going to text you about next week in NYC too! Enhorabuenaaaaaaa that you get to live AND work in a major city. Looking forward to hearing how you get settled in there! Thanks, Trevor! We’ll have to plan a visit once we’re both back over there for next school year. Congrats! 🙂 Logroño sounds like the perfect size! (And think of all the wine.) One thing I’ve been a little disappointed about in Madrid is that it’s more difficult to make Spanish friends — there are so many expats living here. But I think Logroño sounds just right. Thanks, Olivia! I’ve definitely been thinking of all the wine and can’t wait to be there drinking it! I’ve already bought two bottles, and finished them. Oops! I’m looking forward to meeting a mix a Spanish and expat friends. Oh, to be able to walk to work. I’d LOVE that!! Congrats! Thanks, Jessica! I’m really excited about being able to walk to work, if you couldn’t tell! Congratulations! I just got my carta nombramiento a few days ago and found out I’ll be teaching at two schools in Logroño as well! We should connect via FB. Are you in the 2014-2015 La Rioja Auxiliares Language Assistants group? Awesome! I am in the Facebook group. I’ll add you on there! I found this post fortuitously after reading Liz’s blog. It will be fun if I see you around. PS: I hope you arrive before 20th Sept. so you can enjoy San Mateo. PS2: I hope I’ve written everything right since I’m starting to forget my English. Thank you! I am really excited to be moving to Logroño! I’ll be arriving in time to enjoy San Mateo too! Your English was very good. Thank you again for reading and commenting. Maybe I will see you in Logroño! I somehow found out about your blog and this post, and I wanted to say that I’m extremely happy to see that someone from the overseas is so looking forward to be working and living in such a town as Logroño. 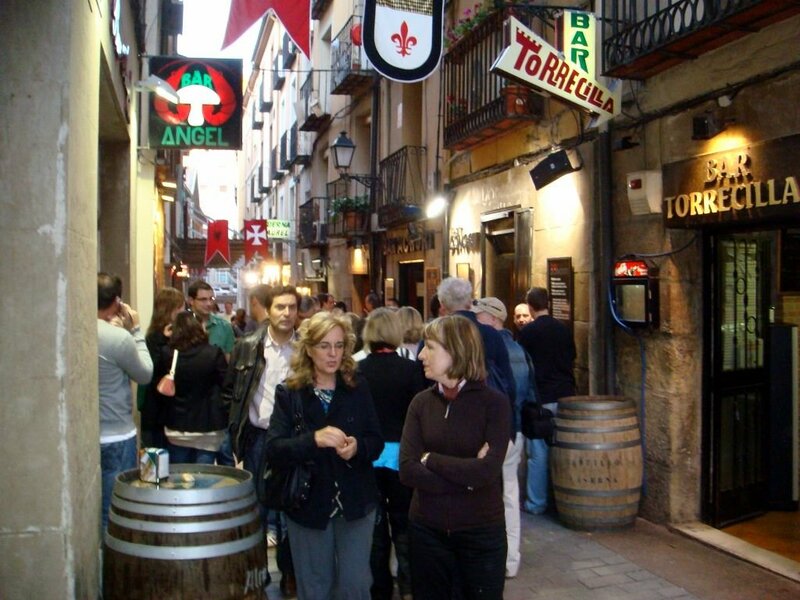 I’m actually surprised, as Logroño is not very big and doesn’t get much attention (with the exception of our famous “Calle Laurel”, the heaven of tapas/pinchos 😉 ). The best part of coming in September, is that near the end of that month, it’s the “fiestas” of the city, religiously called “San Mateo”, non-religiously called “Fiesta de la Vendimia”. I don’t know if you were already aware of it, but it you weren’t I advice you to look up some information on a tourism office and so, because there will be many cultural events everyday and you may be interested in checking them! About the EOI (Escuela Oficial de Idiomas), I’ve studied there before (and I’m still studying in an EOI nowadays, but in Pamplona), so maybe if you thought you could have a question I may be able to answer, go ahead and ask! Hope you’ll have a great time in Logroño 🙂 I will be reading your updates! Thank you! 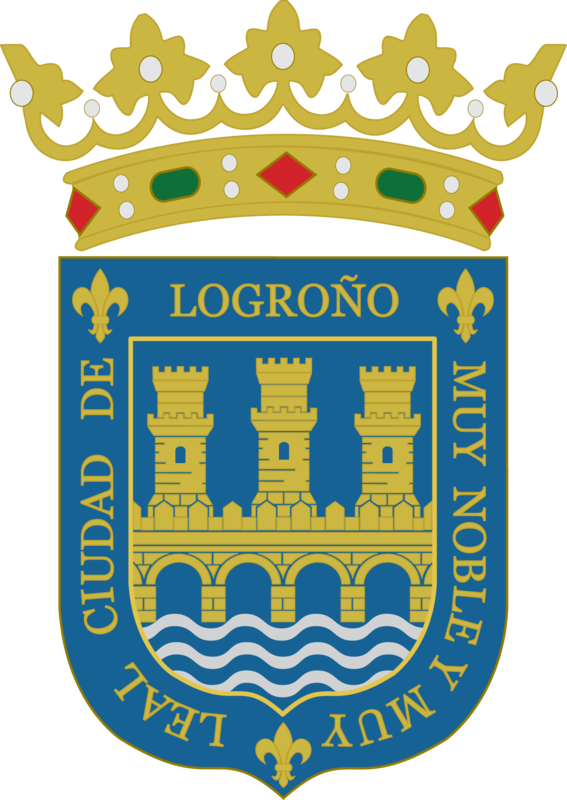 I know Logroño isn’t the most famous city in Spain, but that is partly why I chose to go there. I’ll be arriving before the San Mateo festival starts at the end of September. I’m also excited to experience Calle Laurel! I’ll be sure to send any questions about the EOI your way. It truly is a small world that you’ve studied there, and I’ll be teaching there. Maybe we’ll run into each other in Logroño! But Logroño is small enough to run into each other indeed! Ps: sorry I posted the same comment twice… It’s the first time I use wordpress, and didn’t see it at first… Sorry again! Thank you for offering to answer my questions as I’m sure I’ll have some! I’m planning on making it up to Pamplona too, so maybe I will see you there as well. Thank you, Andrea, and congrats on your placement as well! I love Madrid! I think it’s awesome that you are jumping at the opportunity to live in Spain when you’ve never even been to Europe before. Many people would be too scared to make that move. Props to you! I studied abroad in Spain back in 2010 in Granada, but have not been back to Europe since. Hey so I stumbled upon your blog while looking up some information aboout Logroño, turns out I was also accepted to La Rioja although not in the capital but very close by. I am so anxious and excited to move in a couple of weeks! How is the preparation going? I am somewhat worried about not being able to find a place to live as soon as possible. Have you had any luck? Awesome, Candi! I move one week from today and still feel like I have quite a bit of packing and preparing to do. How’s your preparing going? We’ll have to meet up in Logroño once we both get there!